There’s just over a week left to take advantage of our fantastic Summer offers. 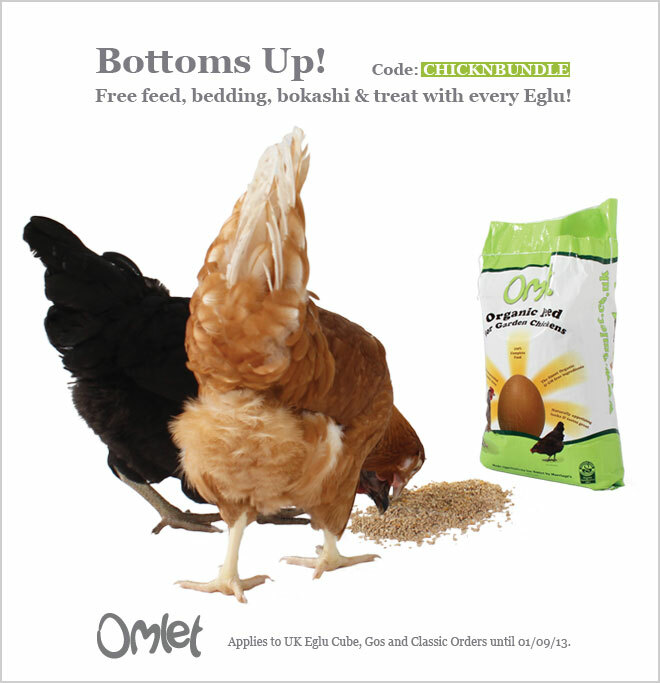 Get free Organic Omlet Chicken Feed, Easichick Bedding, Bokashi and a Corn ‘n’ Grit Treat when you buy any Eglu Cube * , Go or Classic, until 1st September 2013. (UK only). And don’t forget, there’s free uk delivery on orders over £50 until 1st September 2013. Order today and save! * Not applicable on the Multicolour Cube.